In the surrounding mountains, you will find trails that lead to mountain refuges. These range from the easiest, which can be done with children, to more challenging routes equipped with iron for expert hikers. Like trekking, the area also provides various paths to be tried on a mountain bike, both alone or in the company of an expert instructor. 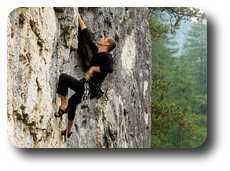 Close to the camp-site, climbing lovers will be able to test themselves on cliffs of varying difficulty. The Courmayeur Guides Association will be the point of reference for moutaineers and climbers who want to try out new ascents or improve their technique. 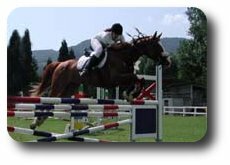 The Courmayeur Forum offers the opportunityof trying a range of indoor sports among which ice-skating, curling, tennis, squash and indoor climbing. There is also a fitness centre and weightlifting gym. 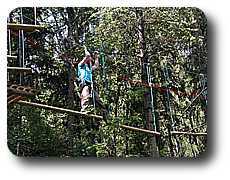 Not far from Courmayeur, immersed in a dense pine forest, lies the Adventure Park. This recreational sports course allows you to test your courage on Tibetan and Tyrolean bridges, floating ladders and suspended platforms. It includes many itineraries, suitable for both children and adults. But for the most fearless, there's a 131 metre long Tyrolean pulley that takes you across the Orrido chasm at a height of 188 metres. 5 kms. From Courmayeur, the Pré Saint Didier Spa existed in Roman times. 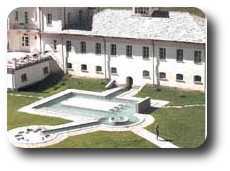 It offers relaxing itinearies among thermal baths, saunas, Turkisk baths, watergames and relaxation areas. Considered the Colorado River of Europe, the Dora Baltea is one of Europe's most attractive navigable rivers. 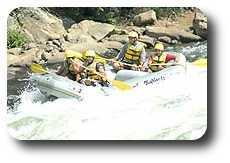 To be able to explore it, many specialised centres offer the possibility of trying rafting, hydrospeed and kayaking as well as conyoning expeditions. 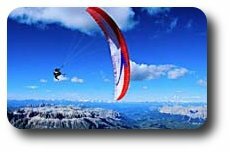 If flying has always been your dream, you'll have the opportunity of trying the thrill of paragliding or admiring thr Alpine range from a hot air balloon. 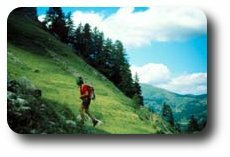 Not only does the Aosta Valley offer sport, but also historic sites and an ancient culture. By travelling 40 to 50 kms, you'll have the opportunity of visiting magnificent castles and museums of every type.